Happy Monday! 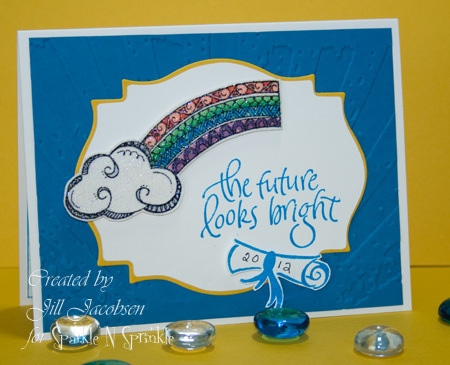 Here is another sneak peek at my new Stampette Set Zendoodle Rainbow....I used it with my daughters graduation cards. 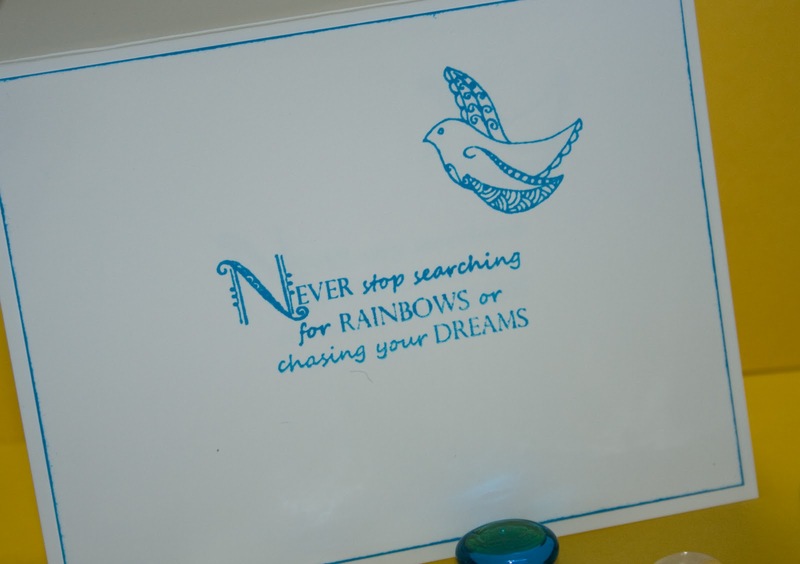 I thought the sentiment would go well for that.....So I also used stamps from the Graduation set. Again these stamps should be available May 15th:) I did emboss the rainbow with Sparkle EP after I finished coloring it, and the sentiment on the front of the card and the diploma are embossed with Blue Ribbon EP. The inside of the card is stamped with Danube Memento Ink. 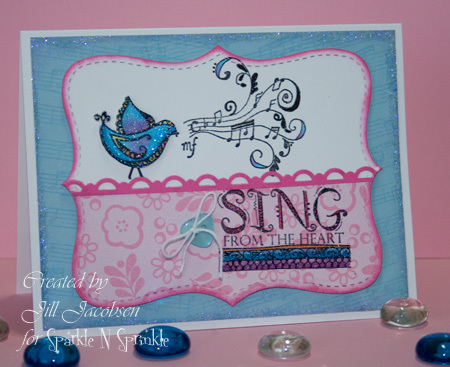 Here is a second card that I coupled with the Music Labels stamp set (I actually cut the treble clef off so I can use them both separately or together). I also used the Sparkle EP on the bird and put him on dimensional tape. I just love to hear the birds sing their songs and these little birds are waaaayyyy to cute! And I usually have a song in my heart to sing. Thanks for looking and remember to put a song in your heart and sing today! Oh Jill, these are both just precious! Thanks for the ideas - I guess I'd better get started on my Graduation cards. That shimmering iris is soooo gorgeous, Dear ! I spotted the shine right away. Thanks so much for playing with us at Creative Inspirations Paints! Jill, love what you have done with your images! They look fantastic on these cards!